Students in Lufkin are enjoying a much more technology friendly experience in their lessons. Students across the Lufkin district in Texas took part in a Digital Learning Day, which allowed them to learn about how to use a popular type of mobile devices to be able to scan QR codes in order to gain more information through the use of technology. The students discovered how mobile gadgets could read the quick response codes. 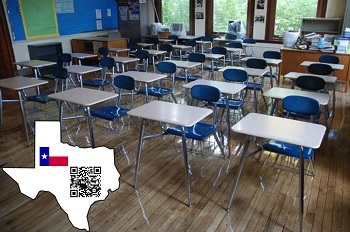 According to Jaren Chavros, a student at Dunbar, “A QR Code without the devices, it just looks like black dots, but the devices can scan and all the little dots are like words for the device.” The students learned how to use common mobile devices to scan QR codes and open up a range of information. In this case, it was presented to them in the form of clues that were critical to moving forward in a recycling scavenger hunt. The QR codes were seen as a great opportunity to help to bring together technology and a lesson in recycling. Once the students used the mobile devices to scan the quick response codes, they would receive the clue that they would need to head off to the next among the five different stops – the first among which was the playground. Finally, when they had completed the scavenger hunt, they had the opportunity to show adults what they had discovered along the way. Although the program was available to children from the second grade and up, Garcia acknowledged that they could have started younger as kids before that age are already well aware of how to use those mobile devices and could quickly learn how to scan QR barcodes. By the time the children had scanned the QR codes and learned all of the recycling lessons from the scavenger hunt, they were then keen to share what they had discovered with their parents, spreading the word even further.